Luqman (also known as Luqman the Wise, Luqmaan, Lukman, and Luqman al-Hakeem; Arabic: لقمان‎) was a wise man for whom Surah Luqman (Arabic: سورة لقمان‎), the thirty-first surah (chapter) of the Quran, was named. While the Quran does not state many personal details about Luqman’s life, including when or where Luqman lived, later Islamic traditions have elaborated upon his story. Some tales portray him as a man of Nubian descent, while others state that he was of South Arabian origin. There are many stories about Luqman in Persian, Arabic and Turkish literature, and various tafsir collections comment upon these stories. The Quran does not state whether or not Luqman was a prophet, and Islamic scholars have differing views of the matter. The Bahá’í holy writings also make reference to Luqman. The Quranic account of Luqman’s life involves him offering his son religious and moral advice. He urges his son to avoid polytheism and worship Allah alone. [Quran 31:14] He also instructs his son to be modest in attitude and to avoid arrogance. [Quran 31:18] While the text states that Allah gave Luqman “wisdom”, it does not explicitly state that he is a prophet. The tafsir written by the scholar Ibn Kathir places Luqman in Nubia or Ethiopia and portrays him as a carpenter and a slave. He states that while Luqman was a “righteous servant” of Allah, he was not a prophet. One tale recounted in Ibn Kathir’s writings involves Luqman’s master ordering him to slaughter a sheep and to bring its worst parts to him. Luqman slaughtered the sheep and took its heart and tongue to his master. The master was confused upon receiving them, but Luqman stated that “There is nothing better than these if they are good, and there is nothing worse than these if they are bad”, demonstrating his perception and wisdom. A number of scholars speculate that he was a mythical figure known in pre-Islamic times, though there has been much debate about the relationship of the pre-Islamic and Islamic Luqmans. Some maintain that the two are the same person; others that they simply share the same name. 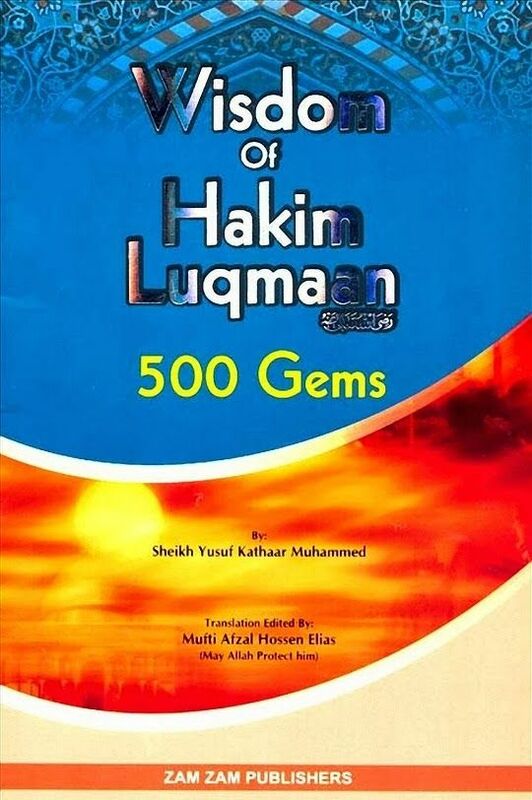 Both Ibn Kathir and the Islamic historian Ibn Ishaq allude to a pre-Islamic “Book of Luqman”, or “roll of Luqman”, containing his wisdom, though no such work has survived, and it is unclear if the reports of its existence are true.